Halftone will generate the appropriate cuts at the default resolution. 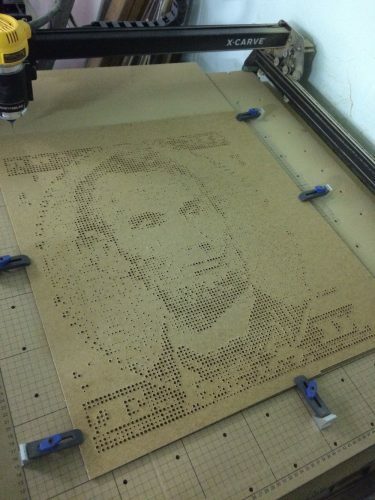 Increase the resolution to raise the number of holes that will be carved. This is the result of running Halftone on the above image at a resolution of 100. 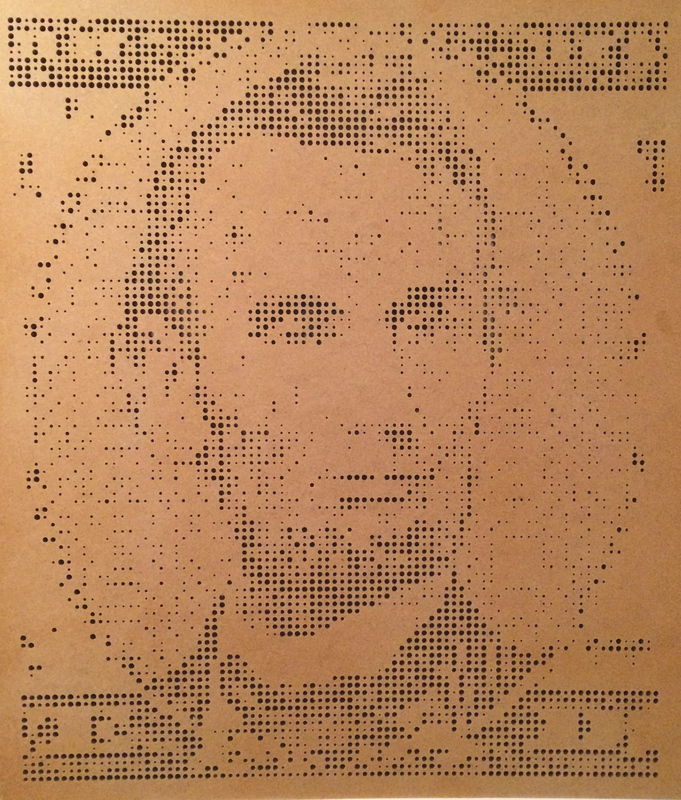 This carve used a 1/16″ bit, so any holes smaller than that were skipped. Create a new app called Halftone. (You may need to request access to the app development system from Inventables first.) Upload a thumbnail and choose API version 2.0.0. Open or refresh Easel, click on the Apps button, and if you scroll all the way down, you should see your Halftone app, ready to use. Copy the code from https://raw.githubusercontent.com/cfinke/Halftone/master/server.php and upload it to a location of your choosing. 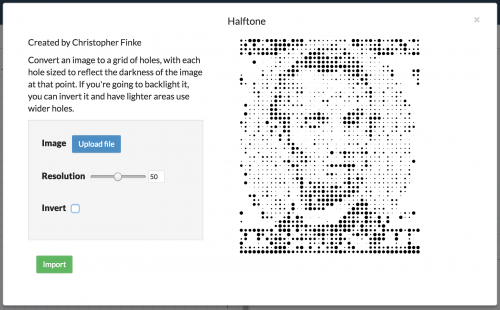 Modify your Halftone app code in Easel and replace https://easel.efinke.com/halftone/ with the URL that you uploaded the code to in the previous step. 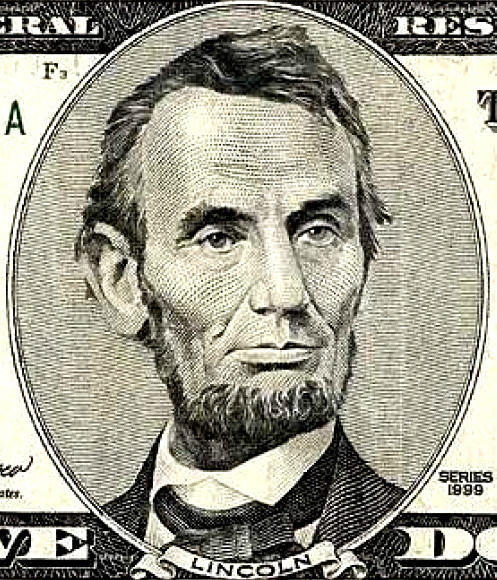 Your images should now be processed on your own server. 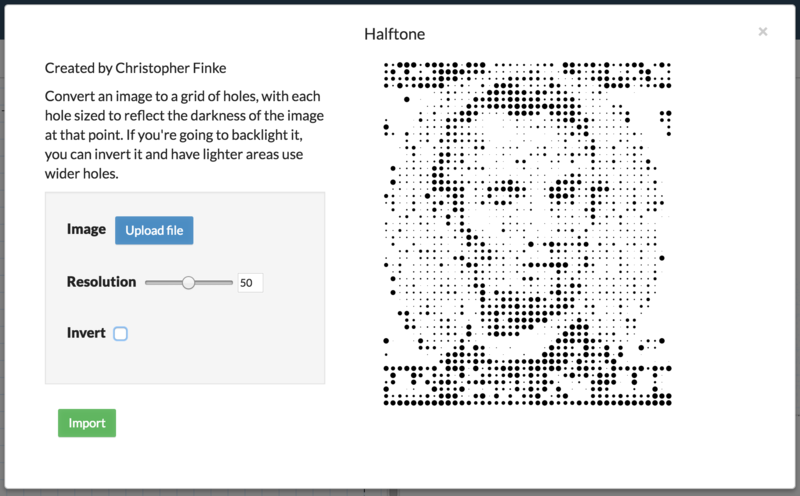 All of the code for Halftone is available on GitHub. If you have any issues with it, feel free to comment below, open a GitHub issue, or email me directly at cfinke@gmail.com. 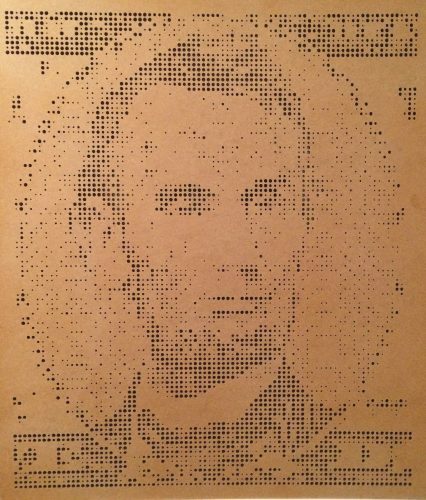 If you use Halftone to carve something, post a picture of it in the comments; I’d love to see it. That’s so cool! I could see this being used for an awesome personalized gift. Like wedding photos and such. Thanks for sharing with the world! You would have much better results if you used a v-bit. I’ve found a 60° v-bit works best.